“One of the most peaceful places, and the clouds came in front of the Mount Ararat (Masis), but still looked beautiful”, – writes National Geographic about this wonderful place. 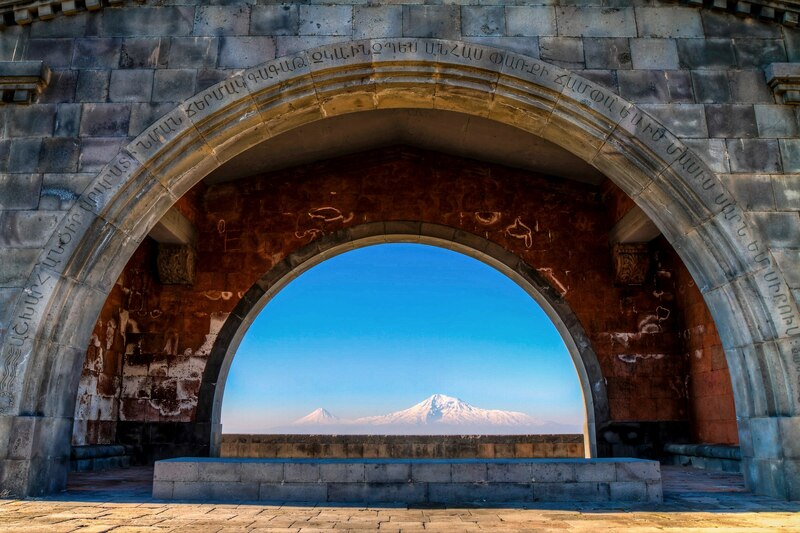 The Arch of Charents was erected in 1957 and named in honour of Armenian poet Eghishe Charents, who wrote the best poem, dedicated to Armenia, full of true love and pride. 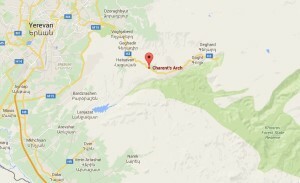 They say, Charents loved this place and used to visit it frequently. The author of the construction is prominent architect Rafayel Israyelyan. The arch itself is just an arch, you may even wonder, why this place is a “must-see”. 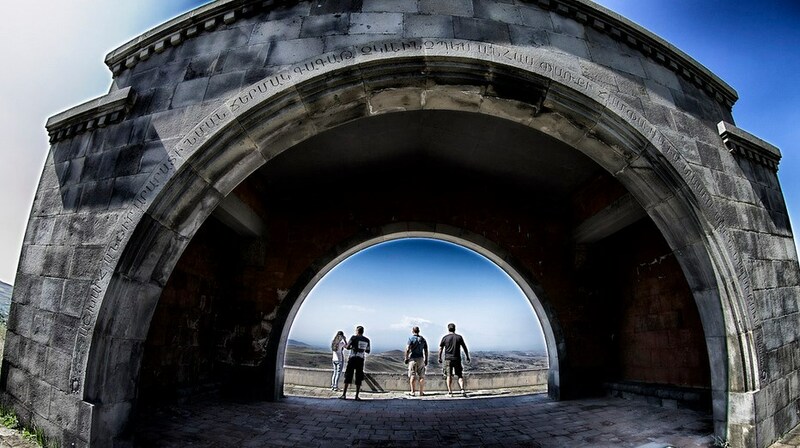 But from the Charents Arch opens a breathtaking view to Ararat, probably the most stunning view of the Biblical mountain. From this place it seems that Ararat is not connected with the ground, but is “hanging down” from the sky. It’s a real miracle. And nothing spoils the great view, not a single building, not a single noise. 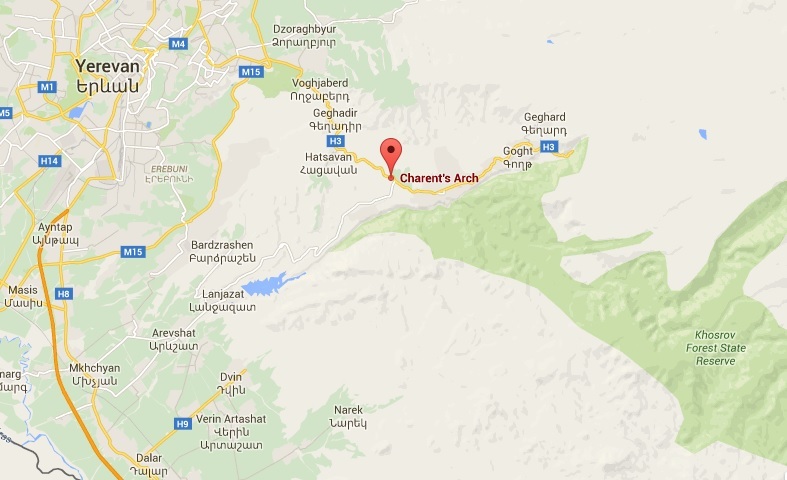 The Arch is situated very close to Yerevan, on the way to Garni village. So if you are going to visit Garni and Geghard, don’t miss the chance to admire Ararat from here.